Bob Broschied holds a bachelor's degree in Wildlife Management from Arizona State University and is a graduate of the National Conservation Leadership Institute. Prior to becoming director of Arizona State Parks & Trails, Broscheid was a biologist, Habitat Branch Chief and Deputy Director of the Arizona Game and Fish Department, and Executive Director of Colorado Parks & Wildlife. He enjoys hunting, fishing, backpacking, mountain biking and golf. Most weekends, Bob and his wife Dana are having fun discovering all of Arizona's outdoor opportunities. 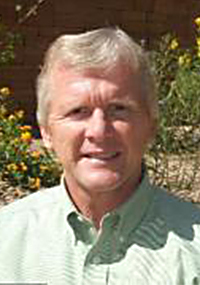 Bob was appointed director of Arizona State Parks and Trails in February 2019. As an Arizona resident since 1984, Dale Larsen is a devoted practitioner, teacher, participant, researcher and supporter of our fabulous Arizona parks and trails. He spent 27 years as the Assistant Director and Director for the City of Phoenix Parks and Recreation Department. Retiring in 2010, he became a full-time faculty member and administrative Director of Community Relations for the Arizona State University College of Public Service and Community Solutions. He currently serves as the President of the Camp Colley Foundation, a nonprofit organization that raises money to send disadvantaged children to an outdoor adventure camp in Blue Ridge, Arizona. He is also a member of the City Parks Alliance, the National Park and Recreation Association, the Academy for Parks and Recreation Administration, and the Trust for Public Lands. Most important to him, they raised three children, and now have nine grandchildren, with a major emphasis on the unlimited recreational and educational values of our Arizona parks and trails. John R. Sefton, Jr., CPRP joined the City of Peoria in August 2012 as the Community Services Director. He is responsible for leading the team’s functional divisions of Parks, Recreation, Libraries, Public Arts and the Peoria Sports Complex. John diligently strives to deliver the quality of life for Peoria that the citizens and City Council aspire for. 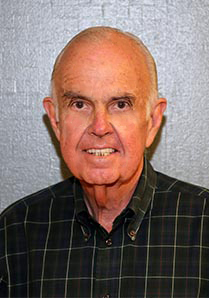 Prior to joining Peoria, John served the cities of Tucson, Prescott Valley, Chandler, Casa Grande and Henderson, Nevada in various parks and recreation positions from Lifeguard to Director. 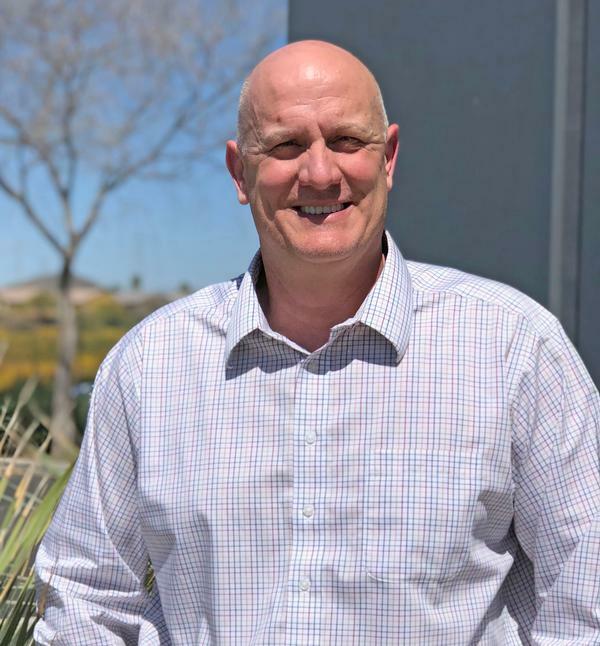 Wedging in seven years of the ‘housing boom’ with developer Pulte Homes and the Communities of Del Webb, John helped build the lifestyle communities of Anthem, AZ and Anthem at Merrill Ranch in Florence, AZ. 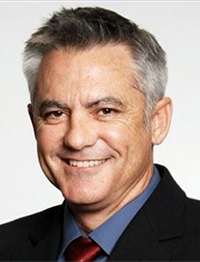 John received his Bachelor’s in Business Management from ASU, a certificate in Public Policy from the U of A, and in 2013 completed his Master’s Degree in Community and Land Use Planning at NAU. Notable career accomplishments include supporting and leading Tucson and Peoria departments through their inaugural CAPRA Accreditation processes, Parks and Recreation Master Planning, recreation amenity design and construction leadership and organizational development initiatives. Lisa Atkins was appointed by Governor Douglas A. Ducey to serve as Commissioner of the Arizona State Land Department on June 15, 2015. Atkins is the 21st Commissioner in the 100-year history of the State Land Department, and is responsible for managing and administering 9.2 million acres of State Land that is held in a Trust for 13 beneficiaries, the largest of which is Arizona’s K-12 education. As an Arizona native, Atkins combines a well-rounded understanding of the State with more than 40 years of experience in the federal and state legislative and policy arenas. Ms. Atkins served for more than 23 years as Chief of Staff to Congressman Bob Stump (R-AZ) in both Washington, D.C. and Arizona, 18 months as the Executive Director of the County Supervisors Association of Arizona (CSA), representing more than 50 elected Arizona County Supervisors on policy and budget matters, and 11 years as the Vice President for Public Policy for Greater Phoenix Leadership (GPL), a group of the Region’s top business and industry leaders focused on the State’s economic growth and vitality. Atkins is well respected in the Arizona community for her involvement in a variety of organizations. Among her current community activities, Ms. Atkins represents Maricopa County as an elected member of the Board of the Central Arizona Water Conservation District (CAWCD), which is responsible for operating, maintaining and managing the Central Arizona Project. She also serves as an Advisory Member of the statewide Governor’s Military Affairs Commission, which is the permanent body to monitor and make recommendations to the Governor and Legislature on executive, legislative and federal actions necessary to sustain and grow Arizona’s network of military installations, training and testing ranges and associated airspace. She and her husband John reside in Phoenix; they have two grown children and three very handsome grandsons. Atkins is a graduate of the University of Arizona. Debbie has spent over two decades working in the tourism industry in Arizona. She was appointed by Governor Doug Ducey as Director of the Arizona Office of Tourism in August 2015 to oversee the state’s tourism marketing strategy. Prior to that she served as President & CEO of the Arizona Lodging & Tourism Association and Valley Hotel & Resort Association. In addition, Debbie plays an integral role in shaping Arizona’s tourism industry and serving as the voice of its 200,000+ employees. She serves on numerous local, state and national boards and committees dedicated to the industry and has been honored as Arizona’s Tourism Champion of the Year, the Phoenix Visitor Industry Champion and was inducted into the Arizona Tourism Hall of Fame in 2011. 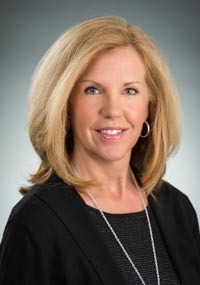 She was named among the Valley’s Most Admired CEOs by the Phoenix Business Journal in 2012 and the Top Business Leaders of 2013-2016 by AZ Business Magazine. Debbie was born and raised in Wyoming, but she is a 25+ year Arizona resident and an Arizona State Sun Devil, where she received her degree in Marketing. In her spare time, she enjoys hiking, reading, football, quality time with her three children and, of course, traveling. Orme Lewis, Jr. is currently a semi-retired real estate advisor/broker and is the sole proprietor of Select Investments, LLC. Prior to serving on the Arizona State Parks Board, Lewis, Jr. worked as a U.S. Bankruptcy Trustee and Receiver for U.S. Bank, and was the Senior Advisor at World Resources Company. He was the Deputy Assistant Secretary for Public Land Management for the U.S. Department of Interior and chaired the Advisory Committee on Mining and Mineral Resources for the Emergency Minerals Administration. From 1966-68, he served as the Majority Leader and Chair of the Finance Committee for the Arizona State Senate. Lewis holds a BS in Economics from the University of Arizona (1958). He also served as the past Chair on the Boards for the Arizona Historical Foundation and Phoenix Childrens Hospital. Shawn Orme is currently the Business Manager for Third Generation (1988 - Present). Orme was the Director of College Guidance for the Orme School (2004-2011); the Co-Founder, Educator, President, and Board of Directors of the Ash Creek School (1990-2003); and was a Resource Specialist for Amphitheater Public Schools (1977-1981). Orme holds a BSE and BA in Elementary Education/Special Education from ASU (1976). 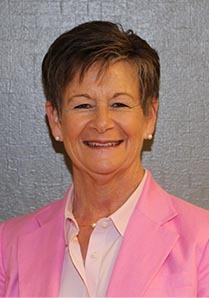 She also serves as the Governing Board Chair of the Verde Valley Medical Center (2014-Present) and as the Governing Board Secretary of Northern Arizona Healthcare. 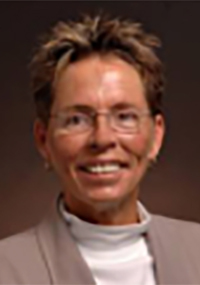 She had previously served on the Advisory Board of the Yavapai County Community Foundation (2003-2006). As a retired parks and recreation professional, Terri Palmberg brings experience and skills as a team player. She has a Master’s Degree from Arizona State University in Parks and Recreation Administration. She retired Assistant Director of Parks and Recreation with the City of Mesa after serving in various capacities for over 30 years. 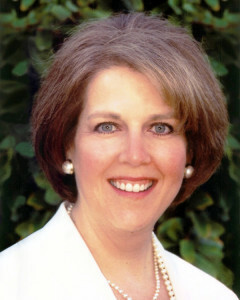 She served as a member of the Arizona Parks and Recreation Foundation, and as an active participant in the Arizona Parks and Recreation Association with various leadership positions held, including president. She served multiple terms as Roosevelt Action Association neighborhood president and National Parks and Recreation Association Young Professional Southwest Region. She was selected by peers and honored as a Legend in Arizona Parks and Recreation. She was an adjunct Professor for Arizona State University teaching various classes for over 15 years both at Tempe and Downtown Campus. Her primary home is in downtown Phoenix, and her second home was tragically lost in the Yarnell Hill fire. She worked hard to rebuild her rock home, and during this time, she watched the development of the Granite Mountain Hotshots Memorial State Trail. She is active in the Yarnell community and had the pleasure of attending the dedication of the memorial park. Witnessing the memorial's development and the positive effect it had on the community rekindled her interest in being involved, and she hopes to add value to the system by serving at the state level. Looking for 2015 meeting information? Please check our archive.